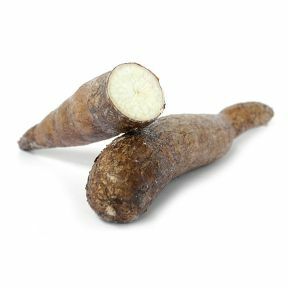 Yucca, or Cassava, is a very starchy root very similar in size and exterior texture to the malanga (see malanga) and the edos (see edos). 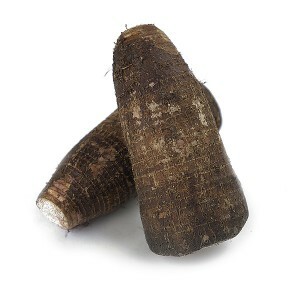 The flesh of the yuca, within the outer bark skin, is a white-linen color, and has a dense texture. 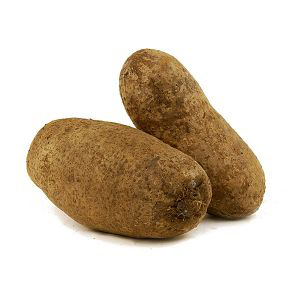 The yucca is commonly used in tropical countries, much like the potato is used in temperate climates regions. 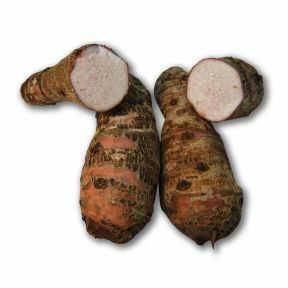 There are two main varieties of yucca: a sweet variety and a bitter variety. 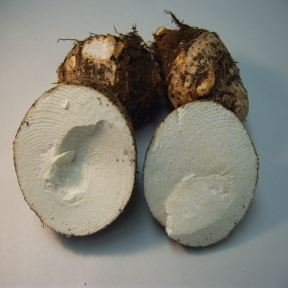 An interesting fact is that the sweet variety can be eaten raw while the bitter variety needs to be cooked before it can be eaten. 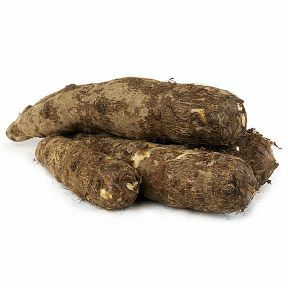 Yucca is typically deep-fried as fritters or as chips. Cubans commonly refer to this method of preparation as “yuquitas” and douse them with garlic and “Mojo Criollo”, Spanish Barbecue sauce for a delightful side dish. 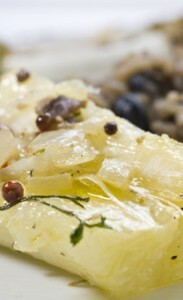 Yucca can also be prepared mashed, baked, boiled, or sautéed. 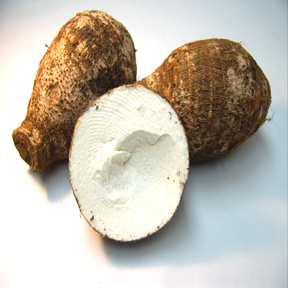 Names: Yucca, Cassava, Tapioca Root, Manioc. Source: Caribbean and the United States (South Florida). 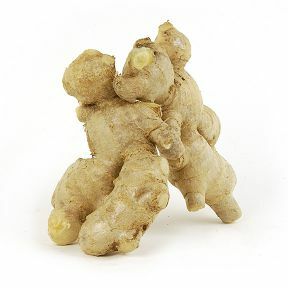 Handling: Stored at approximately 50°F in relatively dry environment. Ripen at room temperature.